I runDisney, and I run in costume. I've participated in nine runDisney events so far, and with the exception of Castaway Cay, they've all been in costume. Coming up with costume ideas (and then executing the plan) is all part of the fun for me. Preparation for my next runDisney adventure- the 2017 Wine and Dine Half Marathon Weekend- presented something new: the need for two costumes instead of one. For the first time, I'm participating in a challenge event. Challenge events include multiple races back-to-back. I'll be running the 10K on Saturday and the Half Marathon on Sunday, for a total of 19.3 miles. The last runDisney race I was registered for was the 2017 Walt Disney World Half Marathon. As some of you may remember, that race was canceled due to severe weather. 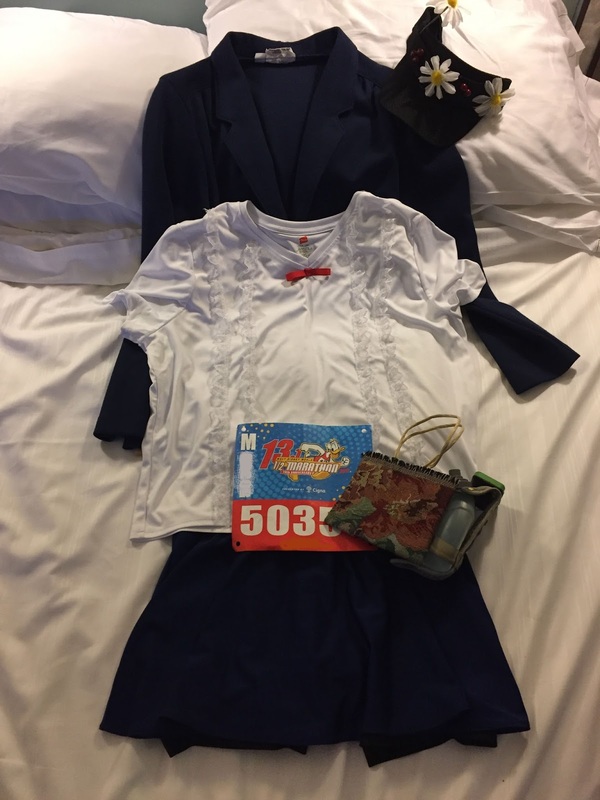 Even though I joined countless others in running it anyway in one of many unofficial halfs that day, I really wanted a chance to run an official race in the costume I prepared for that weekend. The two-course challenge provided the perfect opportunity, so I'll be channeling my inner Mary Poppins during the 10K next week.